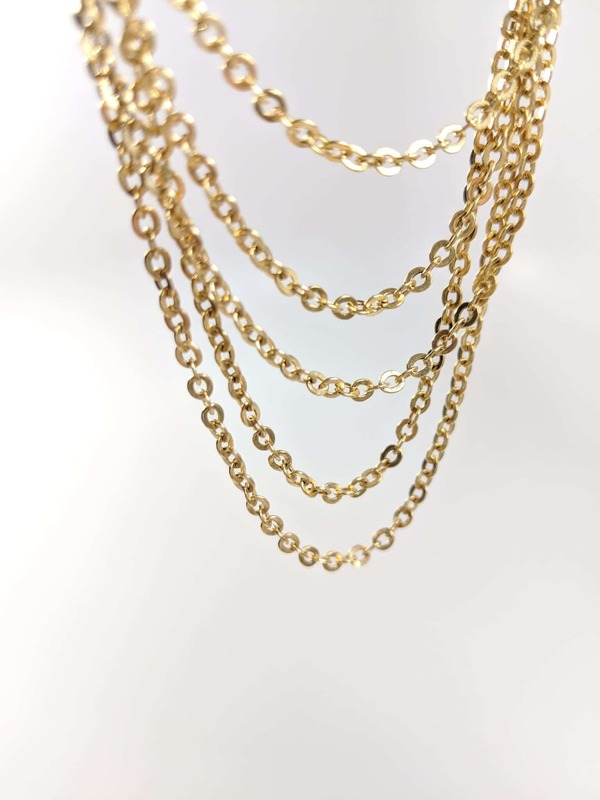 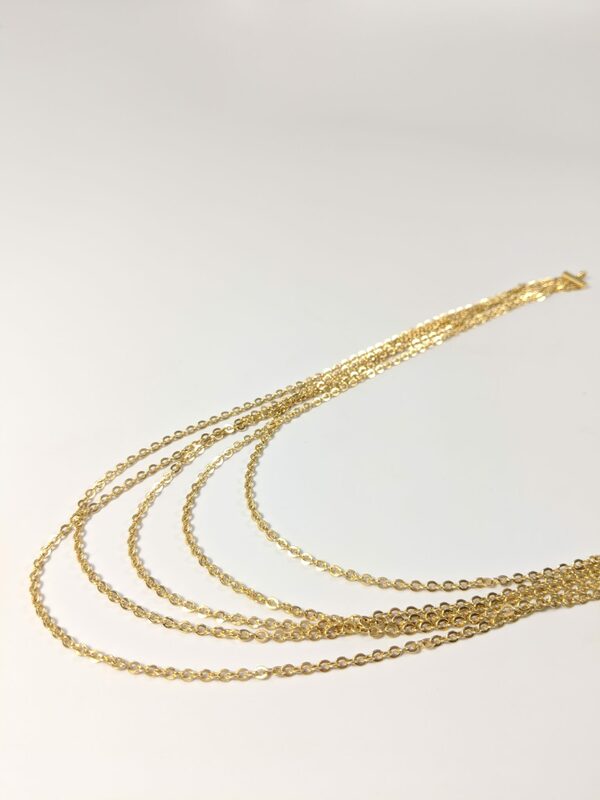 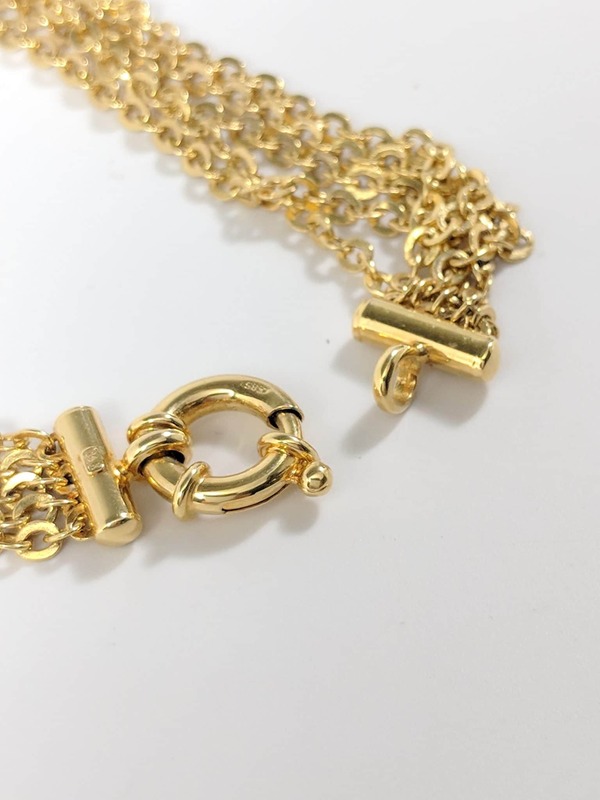 Layered multi strand 14 karat yellow gold chain necklace with spring ring clasp. 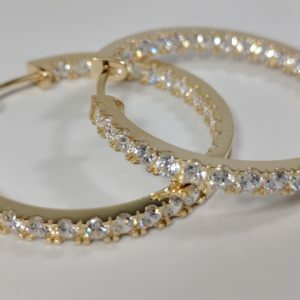 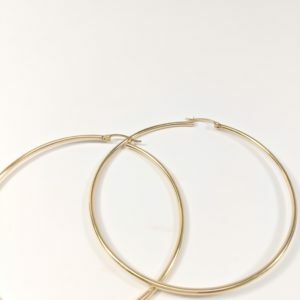 Stylish 14 karat yellow gold Zirconia hoops. 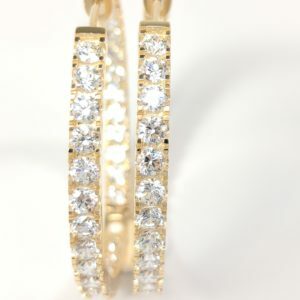 Stones are prongset and 33MM wide. 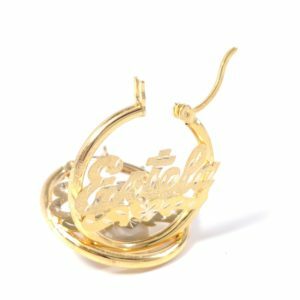 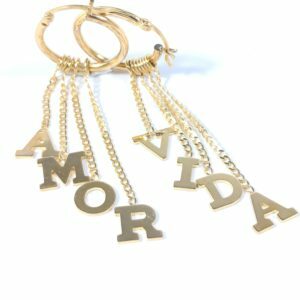 Mini letter hanging long chain earrings in 14 karat gold; high polish design. 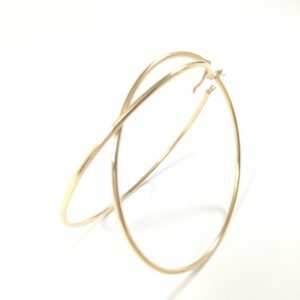 2 MM wide diamond cut hoops with letters hang at different lengths for enhanced elegance. 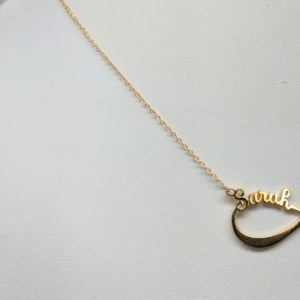 Longest letter is at 1 3/4″ in length. 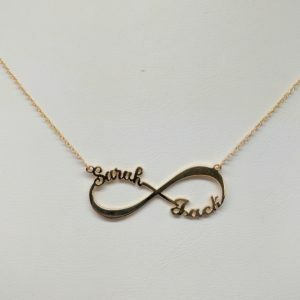 ; pricing provided for eight letters.